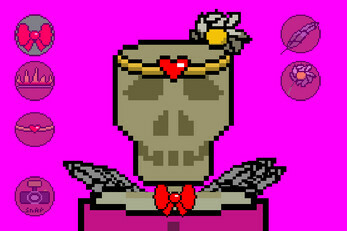 In this game, you can use six different items to make your cute skeleton pal even CUTER! They're a bit nervous, but have complete faith that you'll make em look super cool! Hint: Installing the "Pixelsix 10" font will make the experience even COOLER! 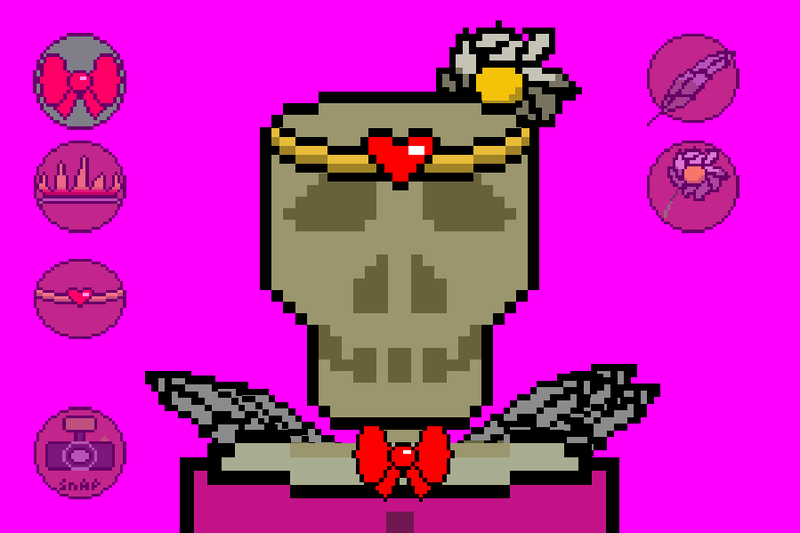 Image sharing via twitter will be added in a later update, but please share your images and tweet under the #MyCuteSkeleton hashtag!